Tropitone Sorrento Relaxed Sling Chaise Lounge with Stackable Aluminum Frame, 25 lbs. 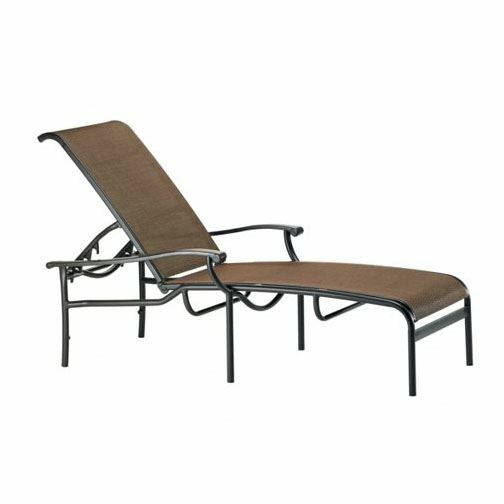 This Tropitone Sorrento Relaxed Sling Chaise Lounge is a comfortable sun lounger that complements any modern style hotel, resort, or beach club. The casual powder coated aluminum frame is designed to nest within itself up to 4 high for convenient storage and easy movement. Featuring a comfortable relaxed sling fabric that comes in a variety of popular colors. 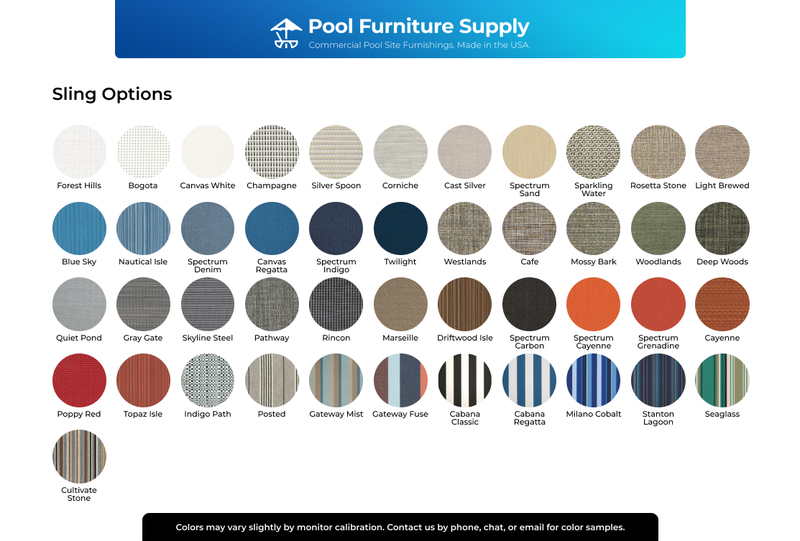 Would you like the complete Sorrento collection and more? 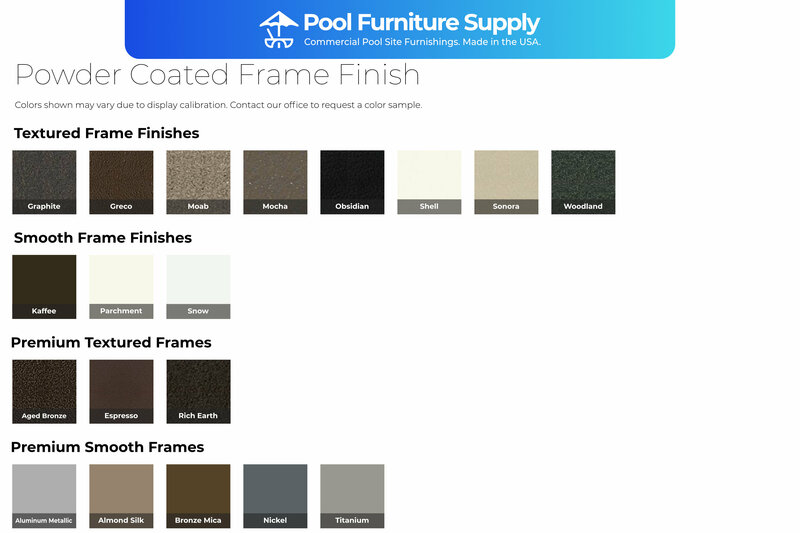 Call Pool Furniture Supply to receive the best quantity discount for all your pool furniture needs! Tropitone Sorrento Relaxed Sling Bar Stool with Aluminum Frame, 15.5 lbs.